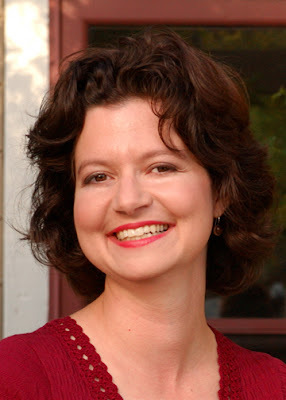 Today we are excited to feature chapter books and MG author and teacher Hilary Homzie. 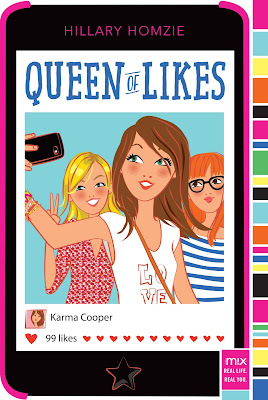 Be sure to enter her giveaway for her most recent book, QUEEN OF LIKES. I have always loved telling stories. As a child, my favorite activities were narrative-related, such as playing Barbies (yup, I’m admitting this one), paper dolls and make-believe. When I was telling stories, I lost my inhibitions and I was no longer shy. Instead, I became expressive, confident even zany. 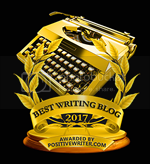 When I hit high school and college, I thought that having a creative writing career would not be practical or possible, so I looked for other ways in which I could be paid to write. I focused on journalism, especially features writing. After I graduated from the University of Virginia, I worked as a radio reporter at WJMA in Orange County, and afterwards, I worked in public relations for the Pennsylvania Ballet in Philadelphia. At the ballet company, there was a huge upheaval, and everybody was fired including me. I took that as an opportunity to try something more daring. For a couple of years, I wrote and performed sketch comedy in New York City. Then I took a children’s lit/writing course at City College. That class changed everything. I was introduced to all the different genres and age groups that you could write for and a short story I wrote in that class was published by Teen Magazine. After that, I determined to learn how to write children's books. Every day I learn something new -- another element of craft that surprises, frustrates and delights me. How did you find your niche in tween novels like QUEEN OF LIKES and THINGS ARE GOING TO GET UGLY? Tell us about them and what inspired them? I found my niche writing books for tweens. My third book for tweens, QUEEN OF LIKES(Aladdin/Mix Simon & Schuster), was just published in April. It’s about seventh grader Karma Cooper whose smart phone is almost another body part. She's obsessed with her likes on Snappypic. When her parents shut down her social media account and take away her phone, Karma’s whole world crumbles. She has to figure out what she actually likes and how to live life fully unplugged. Ultimately, Karma ends up learning to do something because she LIKES it versus what others think. I wrote this book because I’m constantly having to figure this out myself. Hillary, I tell myself, do what makes your heart sing, what you want to do versus doing something you think will please others. I find that when I dig into my own obsessions and weaknesses, I’m able to not force the writing. For example, for my first book for tweens, THINGS ARE GOING TO GET UGLY (Aladdin/Mix Simon & Schuster) was all about me mining the most difficult school and also the most amazing year of my schooling—eighth grade. I was a new kid in an affluent middle school where all the cliques and social groups had been fairly set, and I had to figure out who I was and who I wasn't. I often re-live that year. It's probably a bit unhealthy but it's great for a children's writer wants to write about middle school. I remember my first writing teacher told me that I was locked in the head of a 13-year-old, and I think she was probably right. Right now I'm working on a chapter book series, a new contemporary middle grade series, as well as a middle grade science fantasy. Yup, I know it sounds like I’m all over the map. However, when it comes down to it, I’m mostly a middle grade and chapter book person. I don't write all of these projects at once. I basically work on something and while I'm waiting for feedback, I might tackle a different project. 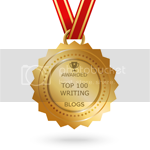 What is the hardest part about writing for tweens? The hardest part about writing for tweens is the yang yang of capturing that yearning to be more independent and wanting to still be a younger child. Tweens practice taking on teen behaviors and yet they're still likely sleeping with stuffed animals. In tween books, the primary romance is friendship so it’s important to remember not to drift too much into YA territory. The easiest part is just getting a chance to express my natural and organic stunted age. My 13-year-old self comes out embarrassingly easy. I'm rather immature inside my head. It's great to allow my greatest weakness to become a strength. Take the parts of you that are emotionally stunted, the parts of you that you’re ashamed of, and the life moments that you replay in your head, and then mine them and craft them into a story (even if it’s speculative fiction or historical fiction) because you'll be able to touch emotional rich sources. When you write about something you care about deeply, they will resonate with others because you are allowing yourself to be vulnerable and real. Most people don't know that I can do many different accents, that I was a sketch comedian and I can even sometimes imitate some celebrity voices. You can find me online at hillaryhomzie.com and on Twitter @HillaryHomzie and on Facebook. You can also find out more about at Hollins University Graduate Program in Children’s Literature & Writing website where I teach during the summer, as well as the Children's Book Academy where I teach interactive web course on middle grade writing and chapter book writing. Hillary is the author of the tween novel, QUEEN OF LIKES (Simon & Schuster? M!X), THE HOT LIST (Simon & Schuster/M!X), THINGS ARE GONNA GET UGLY (Simon & Schuster/M!X), a Justice Book-of-the-Month, which was just optioned by Priority Pictures, as well as the humorous chapter book series, ALIEN CLONES FROM OUTER SPACE (Simon & Schuster/Aladdin), which was developed to become an animated television series and was sold to ABC Australia. Hillary holds a master's degree in education from Temple University and a master’s of arts degree from Hollins University in children's literature and writing, where she currently teaches. In addition, she teaches Middle Grade Mastery and the Chapter Book Alchemist, interactive e-courses, for the Children’s Book Academy. Visit her at www.hillaryhomzie.com and connect with her at @hillaryhomzie. Great interview. Looking forward to reading Queen of Likes! Thank you, Hillary, for sharing your journey and giving us some great tips. I have your books on my shelf and look forward to reading your latest. Oh, I'm glad you enjoyed the tips, Charlotte! Let me know if you ever need autographed stickers! I love your advice, Hillary, to mine your weaknesses and turn them into strengths. I highly recommend Hillary's Middle Grade Mastery class! Interesting to hear the details about writing for Tweens. Love your advice too! I'm so glad you enjoyed them, Darlene :) Right now I have one tween left in my house. The rest are teens. Who know maybe someday I'll try my hand at YA! I love Hilary's advice about "Take the parts of you that are emotionally stunted, the parts of you that you’re ashamed of, and the life moments that you replay in your head, and then mine them and craft them into a story"...it was exactly what I did for the first NaNoWriMo novel I'd ever written. It's not one I'll ever send out to publishers but it was so much fun to write and proved that I could pound out a novel. :) And how hilarious that she can do accents? I can't decipher accents even though I'm ESL myself. Teresa, have trouble deciphering accents when I speak a second language like French. I mean I can tell when someone is from certain places but some of the Patois is hard for me. Mining the most embarrassing parts of our lives? on the one hand - what an excellent way to make lemonade out of lemons. On the other hand... we don't really have to tell people which exact parts are autobiographical, so there's really no downside, right? Very true, Sue! Had to try that rhyme lol. It's fun to put pieces of yourselves in all of your characters--strengths snd weaknesses. Yes! Putting yourself emotionally on paper allows you so much depth to your writing, though as fellow writers know--you "expose" yourself. But every writer must put some of herself into her work. Showing up and being real is something I'm always working on! I am always torn between "painting" and writing... But I'm going to read up about your writing classes and read your books!